Prom featuring the BBC Symphony Orchestra conducted by Osmo Vanska. Gorecki: Symphony No 3. Vaughan Williams, orch A Payne: Four Last Songs. Tchaikovsky: Symphony No 6 (Pathetique). 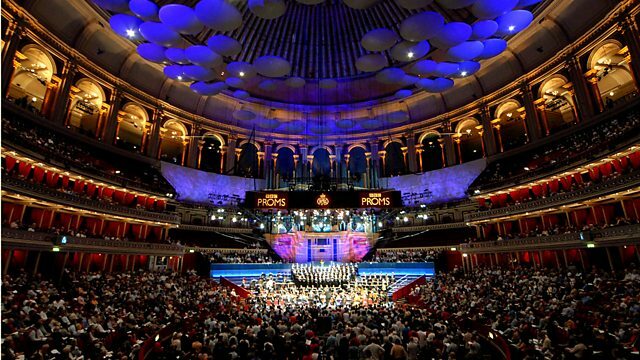 The BBC Symphony Orchestra and Osmo Vänskä at this summer's BBC Proms. Gorecki's famous 3rd Symphony, Vaughan Williams's Four Last Songs and Tchaikovsky's great, final 6th Symphony. Osmo Vänskä conducts the BBC Symphony Orchestra in a programme which concluded the season's focus on Polish music and premiering Anthony Payne's orchestration of Vaughan Williams's Four Last Songs. BBC Radio 3 New Generation Artists Ruby Hughes and Jennifer Johnston are the soloists, Hughes singing the three Polish texts of Henryk Górecki's 'Symphony of Sorrowful Songs', Johnston singing Procris, Menelaus, Tired, and Hands, Eyes and Heart in the Vaughan Williams. Tchaikovsky's 'Pathétique' was the penultimate instalment of the summer's cycle of his symphonies. Symphony No 3 "Symphony of Sorrowful Songs"
Symphony No 6 in B minor "Pathetique"
Orchestra: BBC Symphony Orchestra. Orchestrator: Anthony Payne.